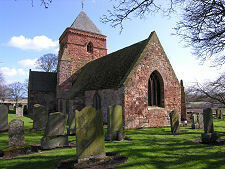 The tiny village of Whitekirk in East Lothian is dominated, paradoxically, by an impressive red stone church. 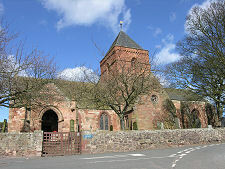 Welcome to St Mary's, the parish church of the Parish of Tyninghame and Whitekirk. 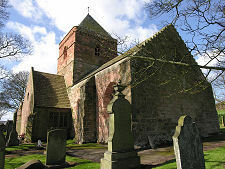 St Mary's is one of very few rural parish churches still in active use in Scotland that can trade their origins back to medieval times and beyond. St Mary's origins date back to the 1100s, when it served as a parish church under the authority of the Holyrood Abbey in Edinburgh. 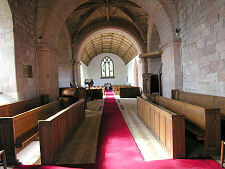 This original church seems to have been coated with white limewash, which explains the name of the village. 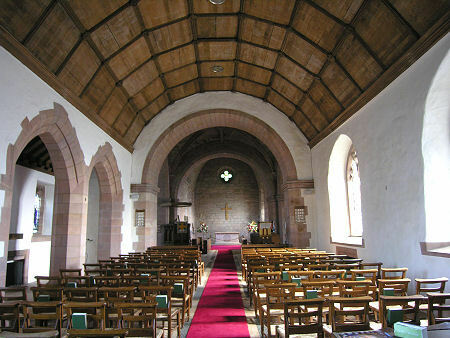 From the 1300s miracles began to be reported by people drinking at a nearby well dedicated to St Baldred and Whitekirk quickly became a major centre for pilgrimage. In 1413 someone took the trouble to count 15,563 pilgrims visiting the holy well, to the considerable benefit of the church (offerings for the year totalled 1422 Merks) and the local economy. 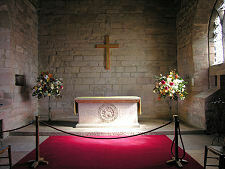 In 1430 King James I oversaw the building of pilgrims hostels in the village to cater for the throng. In 1435 the future Pope Pius II walked barefoot through snow from Dunbar to Whitekirk to give thanks for his survival from a shipwreck in the Firth of Forth. The rheumatism from which he suffered for the rest of his life would serve as a reminder of his visit. 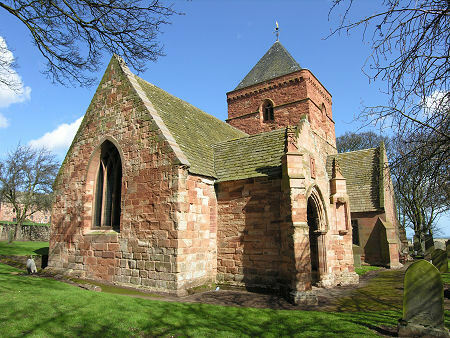 Much of the St Mary's you see today dates back to a major reconstruction starting in 1439, when Adam Hepburn of Hailes built the vaulted stone choir. It isn't clear whether the whitewashed exterior disappeared during this reconstruction or some time later. 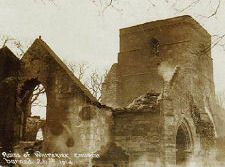 The main layout and structure of the church has survived largely intact since the 1400s: despite everything but the stone walls and vaulting being burned down by Suffragettes in 1914. It is unclear why the church should have been targeted. Restoration began under the direction of Sir Robert Lorimer in 1917. 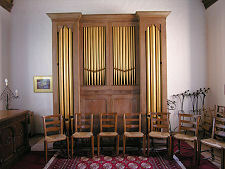 Today's interior and much of the furnishing dates back to this restoration. A visit to St Mary's is a surprising experience. 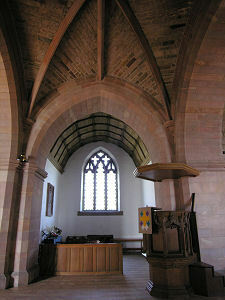 As you enter via the door on the side of the nave, you find yourself in a space that feels far too large to be accommodated within a church that, from the outside, feels to be of fairly modest proportions. This is probably an illusion created by the difficulty in finding an unobstructed viewpoint that takes in the whole of the exterior: and because of the fact that the tower, which you intuitively expect to lie at one end, is actually close to the middle of the church. A little to the north is a tithe barn converted to residential use in recent years. This was built in the 1500s using stone recycled from the earlier pilgrims' hostels.